Last night as I was walking through the market, a woman sitting on the sidewalk with little piles of fruits in front of her caught my eye. I’ve actually tried these before, but wasn’t sure what it was. She called in an appen sta (appen is apple in Thai, the sta I have no idea. A question for class later today!). I bought a bag of fruit for 20 Baht and brought them home. They’re gorgeous just to look at, and the taste is pretty yummy as well. If you had put it in my mouth with my eyes closed, I would have told you it was a persimmon. It’s a bit softer in texture but still has the tannic quality that an underripe persimmon would have. As you bite closer to the skin (which is inedible), a milky liqueur beads to the surface, like a tin cup of ice water sweating on a hot summer’s day. Fruit in Asia is nothing less than exciting. I eat a bag each of watermelon, papaya and pineapple every day, for $1. Occasionally I throw in a durian for good measure. And it’s more intriguing when new fruits pop up that only last for short seasons. I’m constantly surprised that after so many years of coming to Asia, I still find new fruity treasures. Next on my list to try is the yellow sapote. So many varieties of fruit to try…I am jealous! =) I bet the appen sta would be great baked in a tart with a sweet frangipane filling or an upside-down kind of cake. Yum! 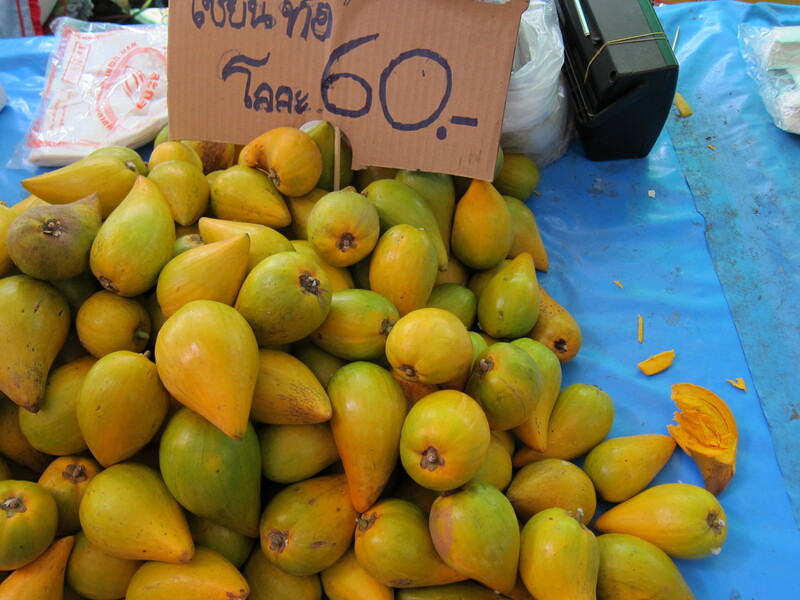 The fruit called Appen Sta, foreign name (sometiems Appen Muang, thai name). 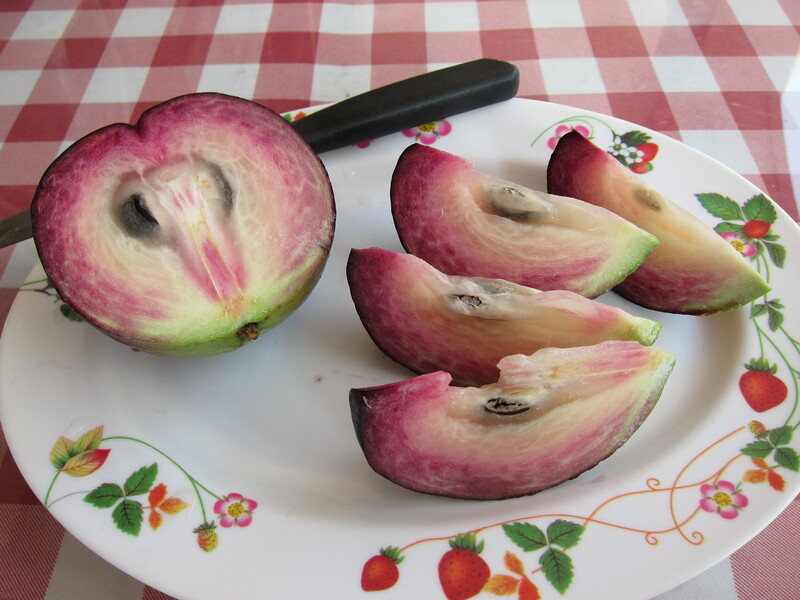 You know Appen means ‘apple’ and Sta from ‘star’ (I think the reason they call it ‘Star Apple’ because of the cross-section view of the fruit). I dont think it’s native to thailand. But i don’t know where it came from. To be honest, I’ve never tried it before. Its much easier to find them in the north than in bankok.